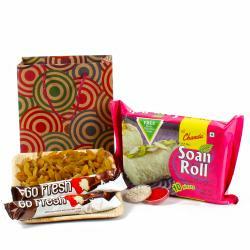 Product Consists : Spring Assortment of Milk Chocolate (Weight : 150 gms) along with Delicious Soan Cake (Weight : 200 gms) and Pack of Roli Chawal. 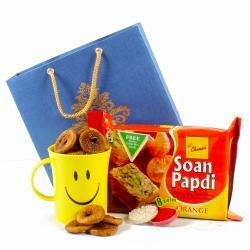 If you are looking for an exceptional gift for your dearest brother, give this exclusive gifts sweet hampers to him, this Bhai Dooj. 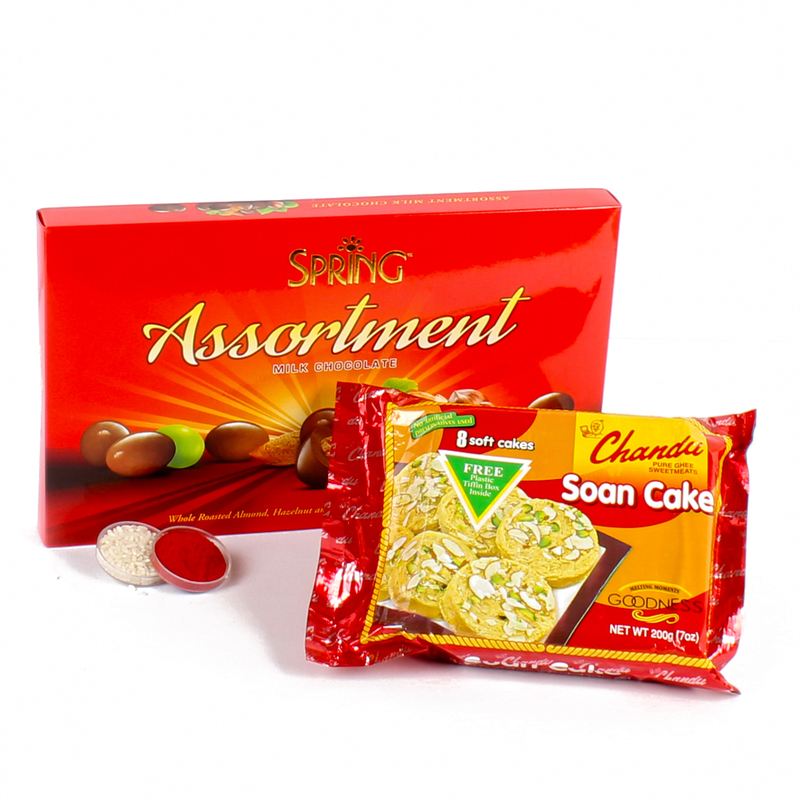 Singapore Spring Assortment of Milk Chocolates imported from malaysia with Soan Cake included in this hamper will act as a delicious gift for the festival and even an interesting prasada for puja. 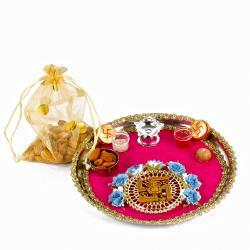 The gift pack also contains a Bhao Dooj Tikka in order to give this gift hamper a more realistic and ritualistic look, all these items are accompanied with a roli chawal. 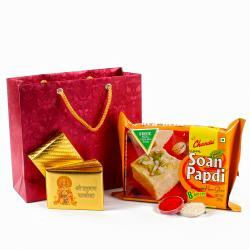 Product contains : Spring Assortment of Milk Chocolate (Weight : 150 gms) along with Delicious Soan Cake (Weight : 200 gms) and Pack of Roli Chawal.